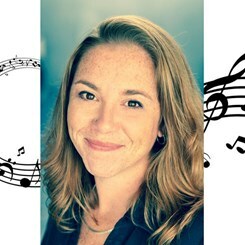 Heather has thirty years of musical education singing, playing guitar, piano and drums; eighteen of which was spent passionately teaching students of all ages the art of their craft and preparing them for public appearances and competitions. She fell in love with music and entertainment at an extremely young age, and has trained, performed and competed extensively. At the same time, she has studied biology, health care and nursing, and eventually accepted an academic scholarship to Florida State University where she majored in Psychology (BA) and triple minored in Music, Spanish and Business. While in Tallahassee, she hosted her own jam night and performed locally, inspiring her to begin teaching part-time. She relocated to south Florida to attend Palm Beach State and received specialized certification for educating and instructing students with special needs/autism/hearing and sight impaired/CP/speech pathology. Heather hand-crafts every curriculum for each student based on their direction, ability and desire. Her incredibly unique approach of ‘the big picture' affords ease and enjoyment where most traditional instruction may fall short. Since 2004, Heather has been very successful coaching hundreds of students through the audition process of schools of the arts, and competitions. Focusing heavily on the community, philanthropy has always been close to her heart, as she believes giving back is a musician’s responsibility and honor. Beyond the classroom, Heather has held numerous administrative positions including Program Director, Director of Operations, Performance Director, performance coach, writer, talent scout, office and store management, retail and rental associate. She is also a songwriter, thespian, amateur comedienne and local musician. She loves acoustic rock, classic rock, alternative, r&b, reggae, soul and funk. However, no genre is off-limits. She’s no stranger to rap, hip hop and pop. Heather is a grass-roots type of musician and appreciates the process and benefits that learning music can produce. There is a wide range of artistic expression through which Heather teaches. However, she admits that she owes the majority of her success to creating, fostering and fueling inspiration within the individuals themselves. Request Lessons with Heather today!